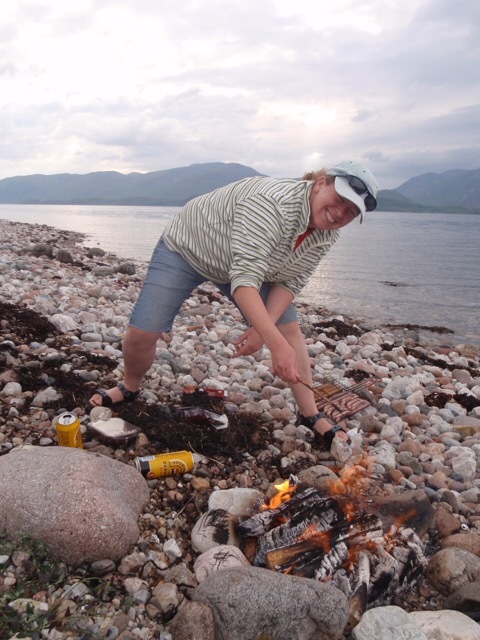 Tomorrow would have been Teresa Brasier’s 48th birthday and it seems the right time to reflect, over a breakfast of my first ever batch of home made marmalade (whisky of course), on what her friendship and loss has meant to me. I first met Teresa in 1997 when I arrived in Glasgow as a new PhD student and she was working for an orchestra, and I last saw Teresa 10 days before she died at the start of December in her small miners cottage in Leadhills, where she had lived for a decade. She left a legacy in so many people’s lives and hearts, but I want to write here a little of the legacy that she left me. I think that, what stays with me, above all, is the experience of life and death as two facets of a whole: her determination to live life to the full, while accepting death as part of life. And how her experience of death was transformed by her deep and active faith in God. I was fortunate to be able to spend some special moments with Teresa over the past year, since her cancer returned in a much more aggressive form. We’d had regular lunches, walks, when her health allowed, and even spent some time up north with her and her partner Mary in their favourite place The Holy Tree Inn, somewhere we had discovered as a warming haven after visits to our bothy. Teresa was inseparable from her beloved black lab Poacher, except for the times I’d seen her in hospital when, instead of a snoring dog and a bookshelf of single malt whiskies, she would be surrounded by a crowd of friends sharing stories, anecdotes and a packet of biscuits. You’d always know where Teresa was in the hospital because you could hear the laughter. Teresa left behind her so much joy and such a legacy. 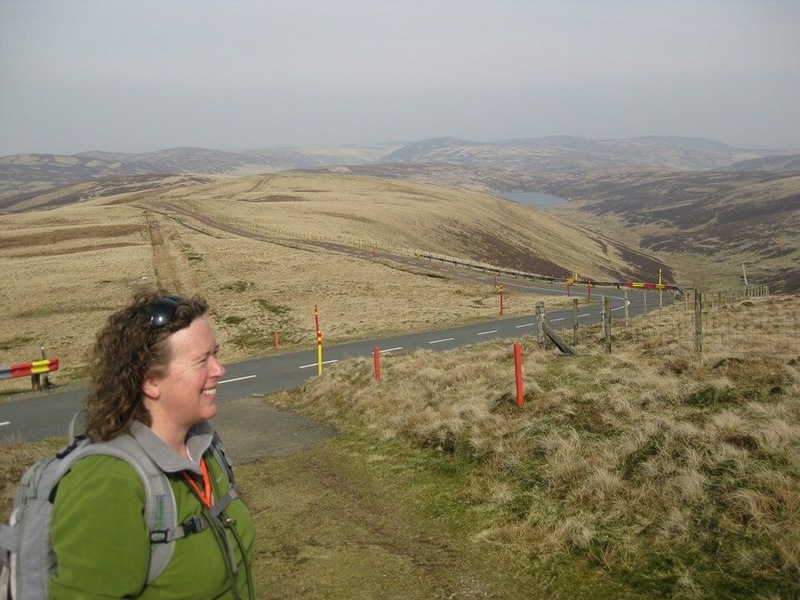 When she moved to Leadhills and heard that the instruments of the Leadhills Silver Band were sitting unused in the Miner’s library, she decided to re-establish the century old tradition. Bringing together beginners and seasoned experts, seven year olds and seventy year olds she brought back to life the historic instruments that had, for years, lain silent. She raised the money needed for new instruments for the band and conducted them until she became too ill to continue. She and Mary worked together to help deaf children learn and play music, and she also worked as a councillor and facilitator. Teresa lived the last year of her life as she’d lived all her life – completely to the full. 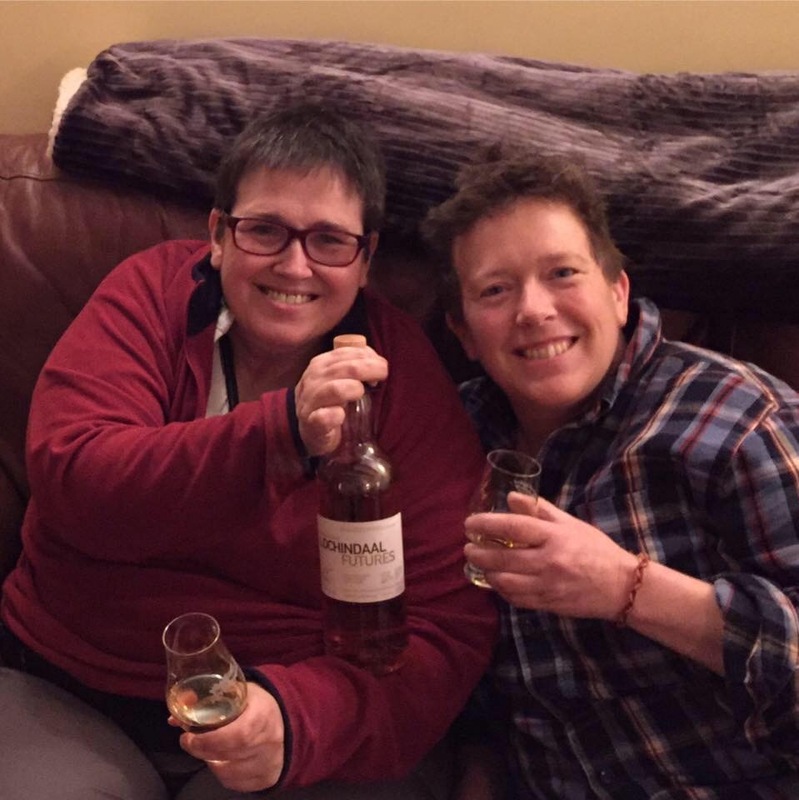 She saw friends, and had many an adventure with Mary: they took an autumn trip to the Canaries, flew in a tiny plane to Barra landing on the beach to visit friends, returned to her favourite places, took a camper van adventure on the Western Isles, and of course, participated in many a communal whisky tasting, always posted by either her or Mary on social media for us to enjoy vicariously. And she printed out the pictures in a photo-book she had beside the sofa labelled ‘Memories’. I, meanwhile, was in denial – how could someone so full of life not be alive anymore? She held a 50th birthday party in Wanlockhead village hall preceded by a service of thanksgiving. “But you’re not even 48 yet” I said. I continued to be in denial visiting her in hospital while she was participating in a trial of a new drug, and when, following a sudden downturn in her condition, I visited her still groggy and in the high dependency unit after an emergency operation. Her hand that I held seemed somehow transparent, her voice little more than a whisper and she was very weak. But this was the outside, on the inside was her characteristic enduring strength and a remarkable acceptance of the situation, she was confident of where she was going. Spending time with T in those final weeks was an incredible privilege, like being invited to glimpse into mysteries way beyond us. Teresa opened a box full of frightening stuff and didn’t find any fear in it. She was so at peace, lived with such faith and had such confidence in what comes next she simply emanated that to those she spent time with. Sitting with her on the sofa, praying with her or just sitting together, would be like seeing a flash, just out of the corner of your eye, of incredible light and then turning to find the ordinary and earthly. Two weeks before she died, a mutual friend was looking after her at home and I went over to visit a few times over the course of the weekend. We sat and read through some liturgy, praying and singing. It was a beautiful time. It seemed to me that heaven was stooping very close. You could reach out and almost touch it. “I know. God was calling me for a long time and I never heeded the call and now it’s too late” she said sadly, thoughtfully resigned to the fact. We sat in silence for a while after that. When I visited her that last time she was extremely frail but very much herself, down to earth and matter of fact and rooted deep in her faith. We talked about Christmas and her plans and then she asked me if I’d like to have her skis. We’d had so much fun together skiing in Scotland and even once in the Alps. She then asked her brother, Stephen, who was staying for the week, to fetch them for me. I took them obediently, just as I had taken her last pot of her dad’s home made marmalade when I’d seen her the week before. 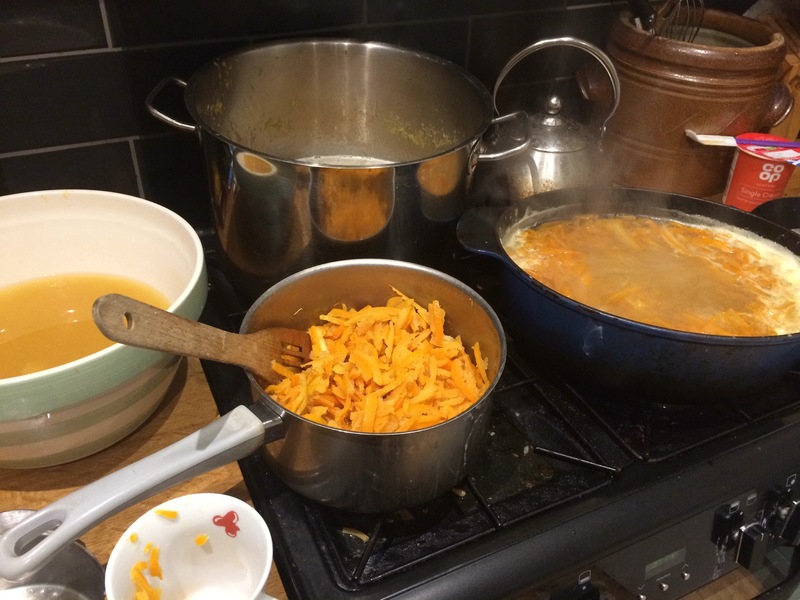 On that visit our friend Catherine was making her a marmalade on toast in her own earnest and perfectionist way, ensuring the butter was just the right thickness and the marmalade was spread right to the edges. Meanwhile, I was musing on how much I love homemade marmalade, “My parents used to give me marmalade and now they don’t” I wailed. “Why don’t you make it yourself?” she’s asked perfectly reasonably. As you can imagine I didn’t really have a good answer to that. Tired of waiting for the perfect slice of toast and, never backward in coming forward, Teresa said “Just give me the toast Catherine!” then bent down awkwardly and got her other jar out of the cupboard and gave it to me. “Take the sodding marmalade Kat, she said patiently “I am not going to eat it all”. I took the marmalade and said I’d be back the following Monday. On the Sunday she sent me a voice message saying she wasn’t well enough to see me and on the Tuesday I received a phone call telling me she had died. On the day of Teresa’s funeral we drove south from Glasgow and the southern uplands rose on either side of the motorway with the huge arc of blue sky above. As we gained height up to Leadhills, the thin smattering of snow on the hills became thick drifts by the side of the road. We parked on the main road, not daring to stray far from the route of the snowploughs. 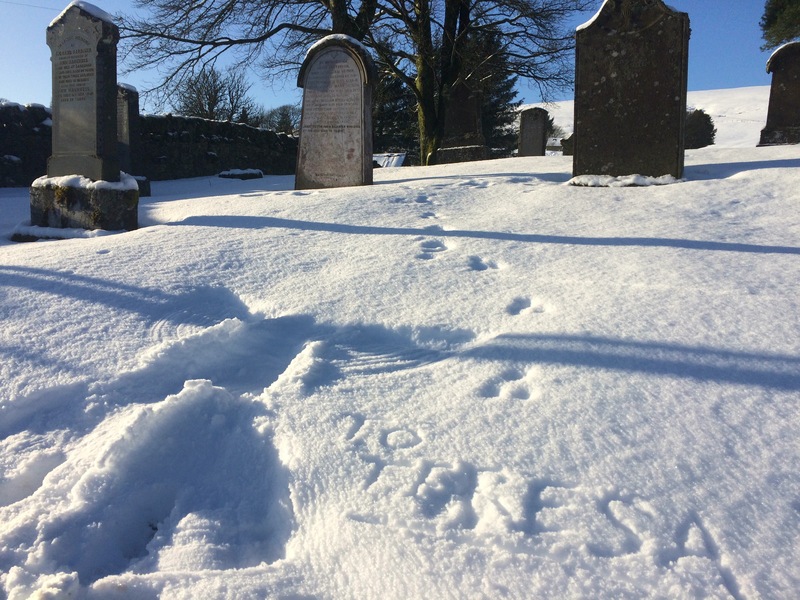 In the peaceful burial ground on the edge of the village, deep in snow and encircled by the rounded forms of the North Lowther hills, we said our goodbyes to Teresa and my younger daughter, Teresa’s goddaughter, left her a snow angel. The very next day my we took Teresa’s skis to Glencoe and had our earliest season’s skiing since we’ve been in Scotland. The sky was still blue and the snow lay as thickly as I’d seen it in December (I got a couple of new scratches on the skis though – souvenirs of a special day you might say and which Teresa would no-doubt have approved of) “Teresa would love this” we agreed. And I felt that she was somehow there with us. That it all fitted. Writing this, something that Julian of Norwich, the 14th century nun and mystic said after a vision of talking with Christ came to mind. 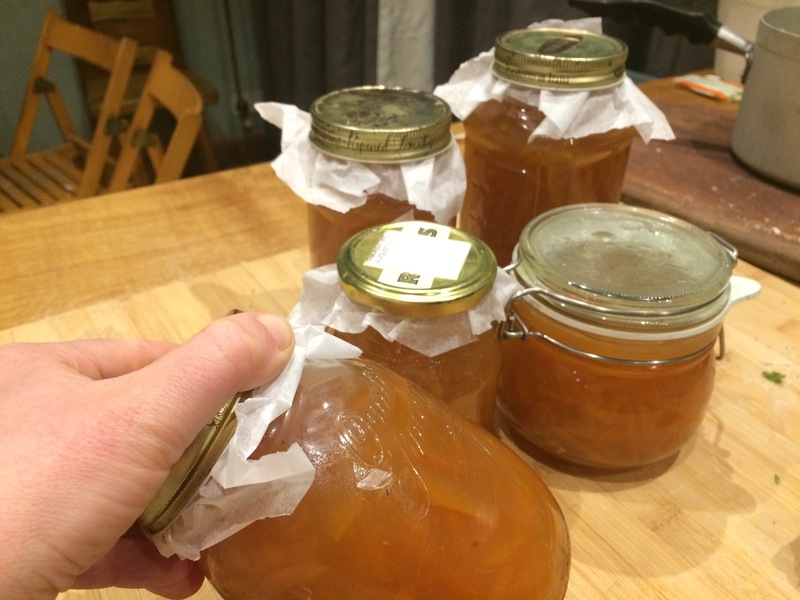 And I did decide to make marmalade at last. Why wouldn’t I? 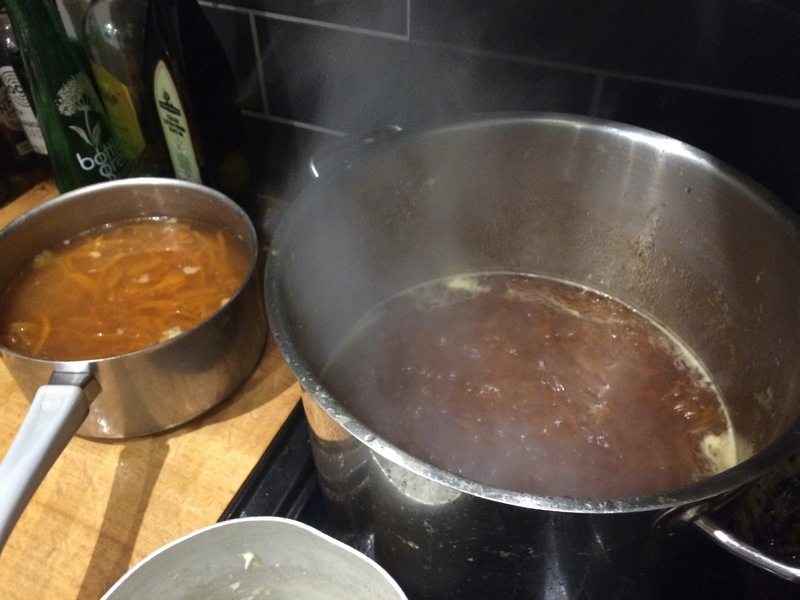 And I put a few giant slugs of single malt whisky in there too (Islay if you’re wondering). Why indeed not? Life’s too short. This entry was posted in blog, Miscellaneous, Uncategorized by nager. Bookmark the permalink.